Family medicine is a broad area of medicine that allows expert practitioners like Dr. Yasser Salem at Quantum Healthcare in Crivitz, Wisconsin to offer personalized care for a wide variety of conditions. Patients of all ages can come to Dr. Salem for physical exams, urgent care, management of chronic conditions, and much more. They are primary care doctors who truly care. What Does a Family Care Physician Do? 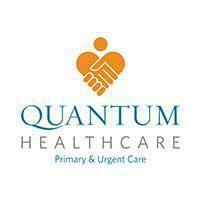 Family care physicians like Dr. Salem at Quantum Healthcare help to provide care for the entire family. Patients range from pediatric to geriatric. Children and adults alike can count on their family care physician for comprehensive care that keeps them healthy. As a family care physician Dr. Salem is typically the patient's primary care physician. This means that patients will come to both doctors with any and all health concerns, as he has training in a very wide range of areas. One of the main goals of Dr. Salem as a family care physician is patient wellness. This means that our doctors will make every effort to help patients with preventive health measures. With the proper actions taken now, you may be able to avoid many of the illnesses and diseases that happen due to controllable factors. This means that conditions like diabetes and high blood pressure can often be avoided if you have your providers help in taking the right preventive measures. What Types of Conditions are Included in Family Medicine? Most conditions are treated by Dr. Salem. If you have questions about whether he treats a specific condition or illness, contact the office anytime for help. When Would Dr. Salem Refer you to Other Physicians? In the rare cases where a patient is suffering from a condition that requires the help of a specific specialist, Dr. Salem will refer to their network of specialist colleagues for help. This would include situations such as advanced heart disease requiring surgery or other conditions that require highly specialized testing and treatment. If you're referred to a specialist for any reason, Dr. Salem will continue to be involved in your care as your family medicine physician. They will work with the specialist to coordinate your care. Once the condition has been resolved, you'll return to your physician for follow-up appointments.